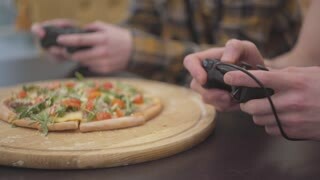 Italian pizza on wooden board. 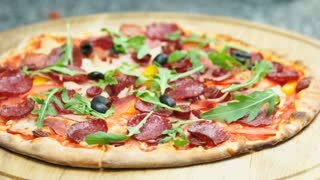 Thin crust, salami and arugula. 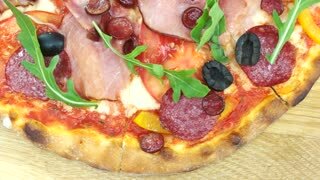 Delicious pizza, salami and arugula. Tasty mediterranean food. 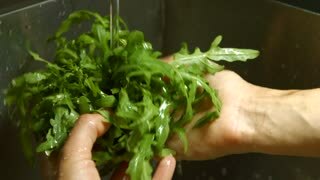 Male hands washing arugula. 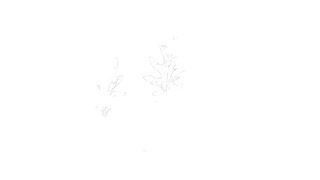 Hands wash greenery in sink. Ingredient for a healthy meal. Time to cook food. 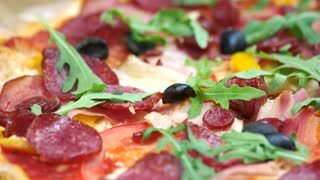 Delicious Italian pizza. Sausages, arugula and olives. 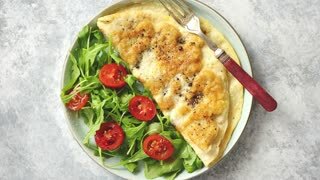 Classic egg omelette served with cherry tomato and arugula salad on side. Placed on white ceramic plate. 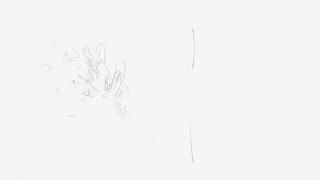 Stone background with copy space. 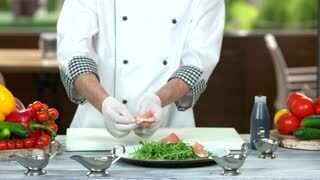 Chef preparing a salad. Arugula leaves and prosciutto. 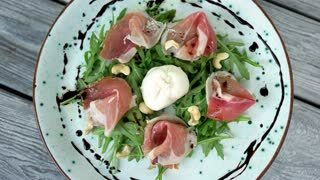 Burrata cheese salad. 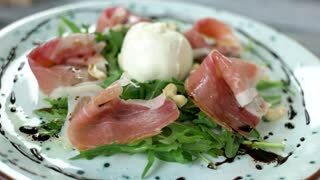 Tasty dish, arugula and prosciutto. 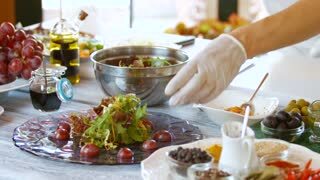 Hands mix salad. Salad with herbs in bowl. Shredded carrot and fresh arugula. 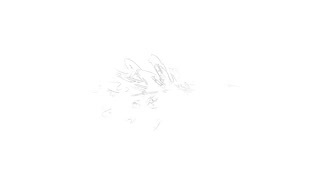 Chef prepares healthy meal. 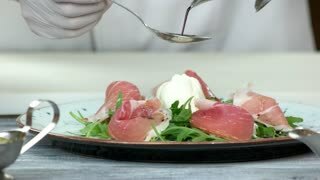 Arugula and prosciutto salad, sauce. Food preparation close up. Plates with salads. Steam coming out of bowls. Roasted shrimp and fresh salmon. 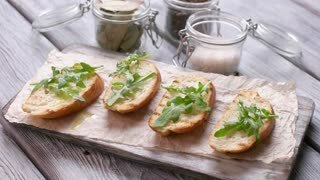 Anchovy tapenade and arugula. Slices of bread with herb. 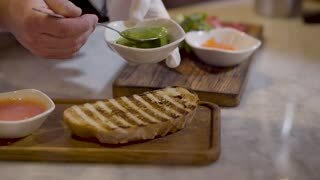 Liquid pours on toasts. 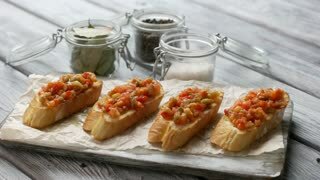 Preparation of traditiona bruschetta. 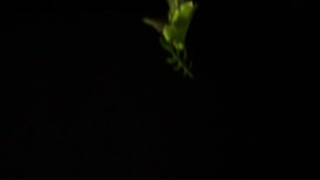 Fresh arugula leaves and oil. 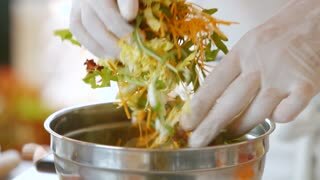 Hands add herbs to salad. Hands of cook in gloves. This dish is almost ready. Salad with arugula and carrot. Herb falls on snack. Pieces of baguette with vegetables. Bruschetta with arugula leaves. Tasty meal on wooden table. 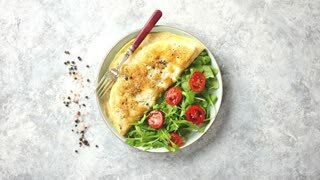 Homemade pizza with arugula, seafood and tomatoes. Woman cooking dinner at home. 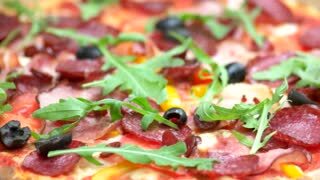 Italian pizza with fresh arugula in pizzeria. 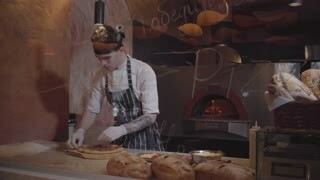 Pizaillo decorating hot pizza fresh herbs. Traditional italian cuisine. Food design concept. Food composition.